For decades, Robin Williams made me laugh. Monday night, he made me cry. Like many, I found myself suddenly paralyzed and weeping at the terrible news that Williams had passed by his own hand at the age of 63. And not just because he was a famous and familiar person (actually, in spite of those trappings of wealth and celebrity). It is because he was an imperfect soul, like most of us, who struggled and suffered and fought unseen battles with private demons that no amount of applause or money could conquer. And I wept because he brought such a rich, empathetic humanity to everything he did, every role he played, every improvisational comedic riff of genius he unleashed on the screen, big or small. Like all of my favorite comedians (a long line that includes, in no particular order, George Carlin, Richard Pryor, Bill Murray, Christopher Guest, Jerry Seinfeld, Larry David, Ricky Gervais, Roseanne, Garry Shandling, Chris Elliott, and most recently, Louis CK), Williams’s humor could be savage, playful, goofy or dead-on subject-skewering, with those arrows of wit and satire directed toward deserving targets — or, just as frequently, aimed at himself. But there was always an air of self-deprecation to Robin Williams’s approach, too; an intrinsic warmth and impish charm that came from Robin’s zeal for making himself, his foibles, and his weaknesses the punch line. Few folks would ever describe Williams’s on stage, or on-screen personae as shy. But then why did I always get the unshakeable sense that all of those outsized, funny public explosions and spontaneous combustions were part of the technicolor dreamcoat suit of armor he protected himself with? Robin was like the shy, soft-spoken kid in the corner who knew that the way to ensuring laughter, popularity, and acceptance from the other kids at the birthday party was to reach into that magic hat and perform all the tricks he was so good at. When Robin did them, nobody in the room could touch him. In every sense of the sentiment. 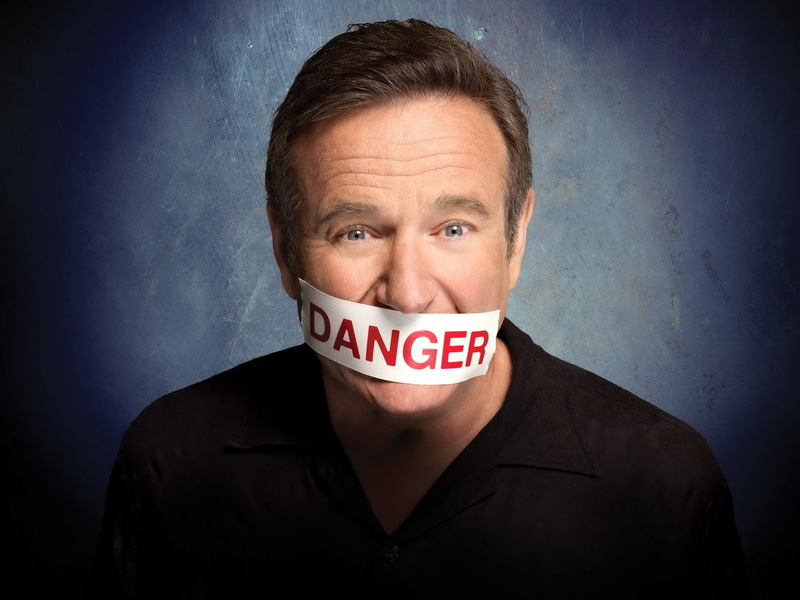 Despite his otherworldly comedic gifts — and his seeming special access to a hyper-rarified, singular perspective that seemed to send him flying perpetually on another plane of thought — Robin’s core humility and childlike spirit always shone through his routines and roles, whether they be silly or serious. Those qualities made and kept him wholly human, and his humor, at its best, spoke to our selves as flawed, struggling, hopeful, funny, perverse, sometimes ridiculous people. Of course, that’s not to say that I loved, or even liked, every single thing he did. Williams worked a lot and his paycheck-cashing forays into family-friendly fare, date-night romantic comedies, and Disney treacle made me cringe. But then there’s the deeper, better body of work: “Awakenings,” “The Fisher King,” “Good Will Hunting,” “Dead Poets Society,” The World According To Garp,” “Good Morning, Vietman,” and a pair of suspenseful, unsettling films that found Robin playing against type. “Insomnia” and “One Hour Photo” were, each in their own way, finely wrought character studies of loneliness, obsession, and malevolence. I especially loved “One Hour Photo” as a piece of modern horror; specifically, the horror of the mind, which is always the best and truest source of terror. Yes, Williams was wacky. But not in the way you think. All of these dramatic films (and more too I’m probably missing) showed me how far out and away from his comedic comfort zone he could travel. Admittedly, I never really watched “Mork & Mindy,” thinking that the sitcom’s premise of an alien (Robin) who comes to earth was contrived. Plus, let’s face it, the costumes were silly. As a teenager, in fact, the show’s huge and immediate popularity in junior high school irritated me (not to mention that sophomorically ubiquitous alien catchphrase, “Nanu, Nanu”). But I vividly remember Robin’s scene-stealing tour de force while watching the pivotal “Happy “Days” episode that spawned the series (shark jumper though the episode was; which is a fitting description since it was Fonzie’s actual leather-jacketed water ski leap over a shark a la Evel Knievel that invented the phrase in the first place). I heard the roar and applause of the studio audience who were blown away at this strange young man’s seismically nutty, otherworldly humor that I suspected could not have been written on mere cue cards — it had to be ALL ROBIN. Upon news of Williams’s death, a stunned and shaken Henry Winkler, who played the iconic “Fonzie” character on “Happy Days,” was quoted as saying he knew he was “in the presence of greatness” the moment Williams showed up for his first rehearsal as Mork. From there on out, Winkler recalled, he knew his only job with Robin in the room was to try and keep a straight face. 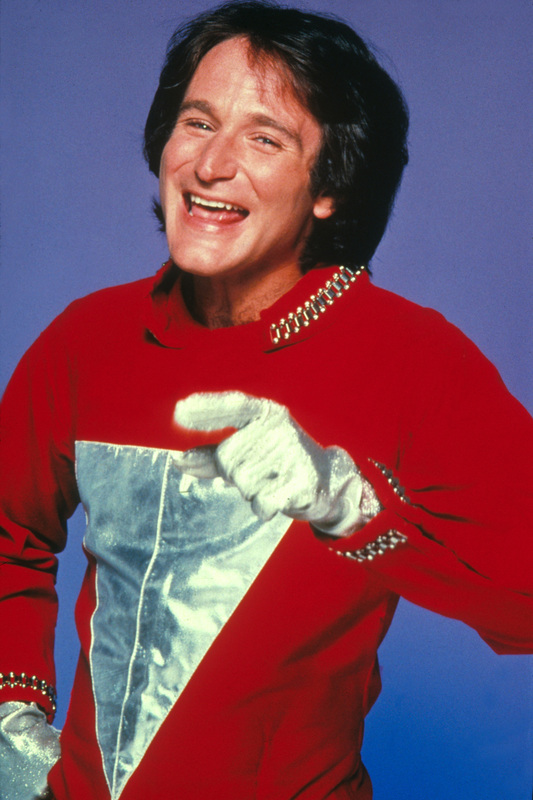 In fact, as Winkler and others recalled this week, during script rehearsals for “Mork,” in place of formal lines of dialogue, there would, instead, often be notes from the show’s writers or directors to the effect of, “Robin will do something here,” or “Robin goes off here.” This was a top-rated, prime-time network television show watched by more than 50 million people every week, remember, and some of (presumably) the best sitcom comedy writers and pros in the business were banking on Robin and his rapid-fire, ad-lib improv brainstorms to steal the scene or carry it outright, week after week after week. All in front of a live audience. Nothing quite like that had been done before, certainly not in the modern sitcom era. 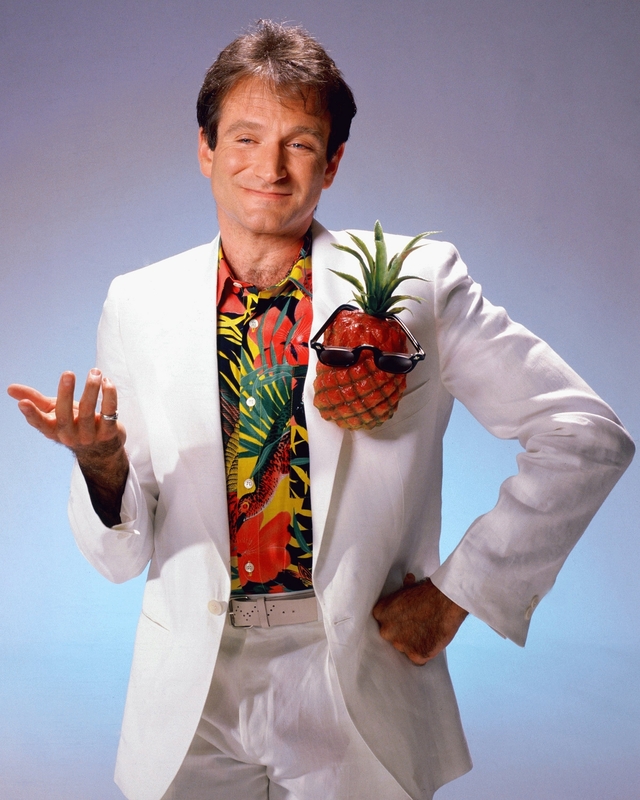 But then, nobody quite like Robin Williams had ever starred in his own prime time TV series before. Of course, as he proved over a long, distinguished, and award-winning career (in both comedy and drama), Robin’s wit, timing, and propensity for the unpredictable was no trick or fluke. His ridiculously brilliant mind couldn’t be contained, and his off-the-cuff antics animated everything he touched. Late night talk show hosts like Johnny Carson basically brought him out, gave him the ball, and let him run with it. And as they sat back (or, sometimes it seemed, were blown back) in the chairs behind their desks, cracking up and convulsing with laughter, he would proceed to fill (or was it devour?) fifteen electric, manic minutes of TV time as if was as easy as breathing. For him, it probably was — on the surface, at least; but we now know the incalculable cost, and the far darker places from whence his humor likely sprang. We all grew up and older watching that zany madcap. Now, those are two words I’ve never cared for, and usually, if someone tells me I’ll love something or someone because they’re a “zany madcap,” I tend to run as fast as I can in the other direction. There’s not a lot of people you could — or wanted — to call a “zany madcap” because it would only encourage them. But Robin was truly a man touched by a crazy genius for making people laugh, as well as a pretty fair serious actor too. Plus, it made perfect sense that he idolized and was later mentored by the remarkable Jonathan Winters, another brilliant comedic talent whose mercury quick mind worked in similarly absurd ways. (Winters is, to me, one of the funniest and greatest ever, but remained somewhat underrated, or perhaps taken for granted after his ’60s-era heyday had waned; Robin helped rectify that by getting Winters to play his son, of all things, on “Mork” ). Across the years and decades, in one way or another, Robin made us all smile and laugh and feel better, instantly, whenever we beheld him. The best moments were when, while channel surfing or randomly tuning in late night, he took us by surprise. More than ever, and especially in the wake of this awful news, we need Robin Williams in our lives, to take some of the sadness away, if only for fifteen manic, soul-revitalizing minutes. Now I know why I am crying. What a wonderful–and wonderfully balanced–tribute to a remarkable comic. You’ve captured so well why the world will be a sadder place without him. “Empathetic humanity” – you found exactly the right phrase to sum up RW and our response to him. Excellent piece. Jon. This is BY FAR the most touching and on-the-money tribute piece on Robin Williams I have seen. Thanks for this heartfelt, New York Times-worthy piece. Thanks so much for the comments and thoughts and reflections. So glad you and others liked this piece which, in truth, began as a late night improvisational riff of my own (which I wrote mostly for myself because, well, I had to). 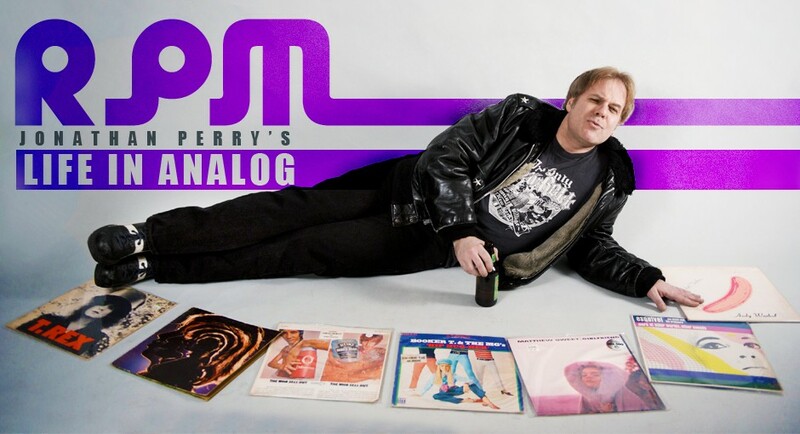 On the one-year anniversary of this singular comedic mind’s passing, I revisited the piece I wrote about Robin for “RPM: Life In Analog” in the dead of night and into the wee hours of the morning. His death shook me in ways I can’t quite reconcile with the fact that I wasn’t a super fan or ardent follower of Williams’s work (too many family-friendly romps and treacly rom-coms in his catalog). But there was always such verve and vitality, such unpredictable, manic energy to the man, that the world suddenly seemed quieter, and sadder, without him in it. A year on, it remains a piece that I’m truly glad I had the presence of mind and desire to write, as a kind of reflex, a kind of coping mechanism upon hearing the terrible news that a brilliant, beaming light had gone out.